So, a couple of things to report today! Firstly I managed to finish the next block in the fantabulous Moogly 2014 CAL – even though my elbow is still very painful (I know, sympathy please!) 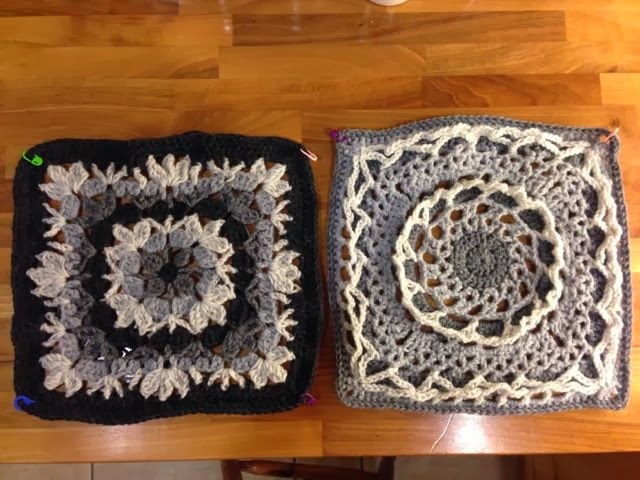 I am really pleased with two things – the second block pattern, which I mentioned before, is a) beautiful and b) by a very talented lady called Julie Yeager and can be found here and also the fact that I invested in a fourth grey colour for my Afghan CAL project! I had initially only bought three shades of grey (no, not fifty ladies!) and felt that the blocks may well need another dimension and I was right! The second block looks great in four greys instead of three – what do you think? First and second blocks together! 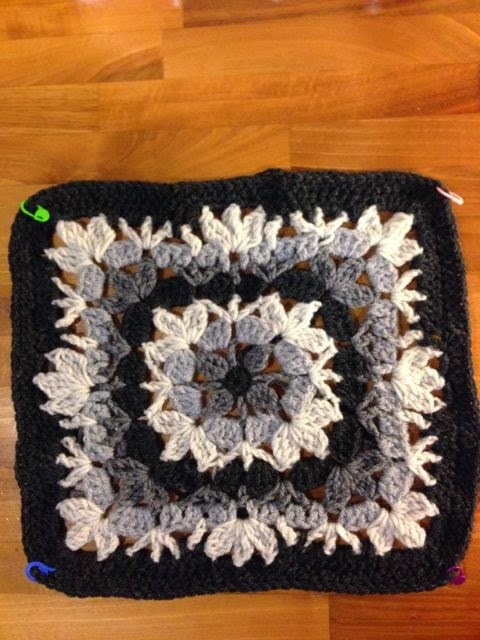 Finally my blanket gets started! I like them both, but I prefer the block with the 4 shades. It has real depth. 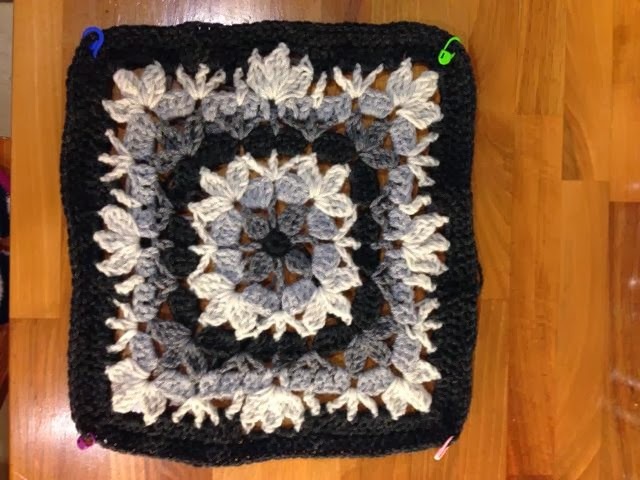 I always think monochrome crochet is eye-catching.